Heat oven to 325°F. 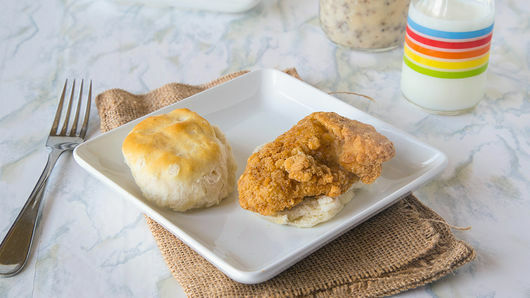 On ungreased cookie sheet, arrange 1 can (16.3 oz) Pillsbury™ Grands!™ Southern Homestyle refrigerated Buttermilk biscuits with sides touching. Bake 19 to 25 minutes or until golden brown. On another cookie sheet, place 8 frozen cooked chicken tenders; bake as directed on package. 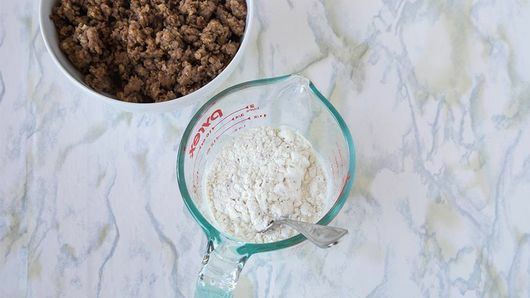 In 10-inch skillet, brown 8 oz bulk breakfast pork sausage over medium-high heat, stirring frequently to break into crumbles. Remove sausage from skillet. In same skillet, make 1 package country gravy mix as directed on package. Return sausage to skillet, stirring into gravy until well combined. To assemble biscuit sandwiches, split warm biscuits; place on serving plates. Top each bottom biscuit half with 1 chicken tender and 1 spoonful of sausage gravy. 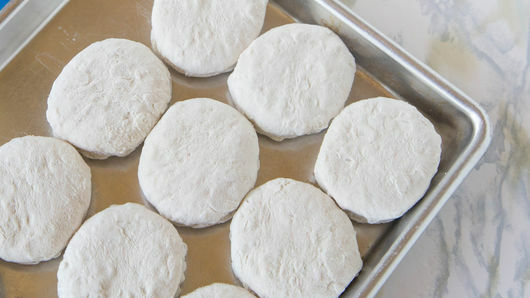 Cover each with top biscuit half. Add a slice of Cheddar cheese for an even more decadent breakfast sandwich. 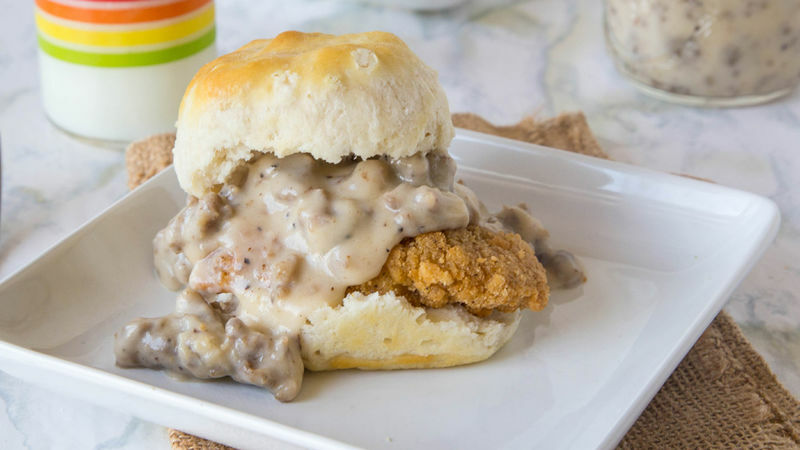 Store any leftover gravy in the fridge for classic biscuits and gravy the next day.